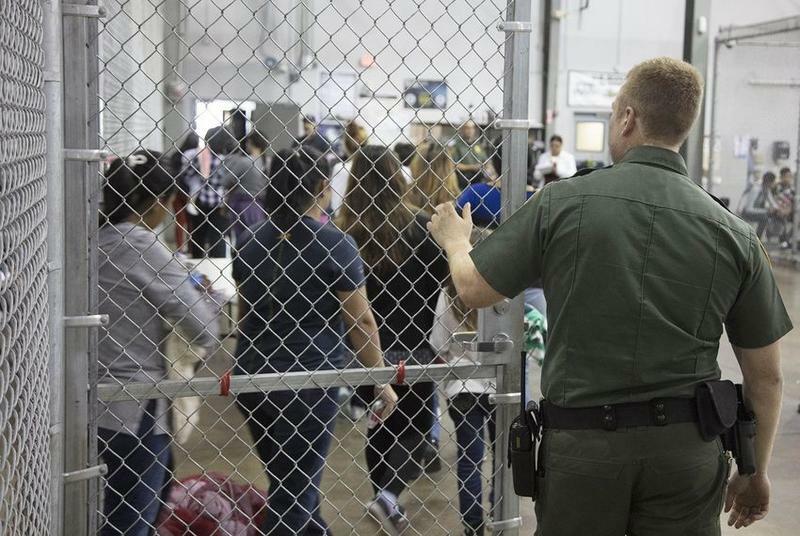 The biggest difference now is that a majority of the population includes migrant families from Central America and children traveling alone or without a parent. Better job opportunities aren't necessarily the main reason that migrants are heading north. Many now say they're fleeing criminal gangs and dire poverty. Dallas-based photographer Dylan Hollingsworth visited Tijuana, Mexico, in January and photographed migrants who had traveled in caravans from Central America. 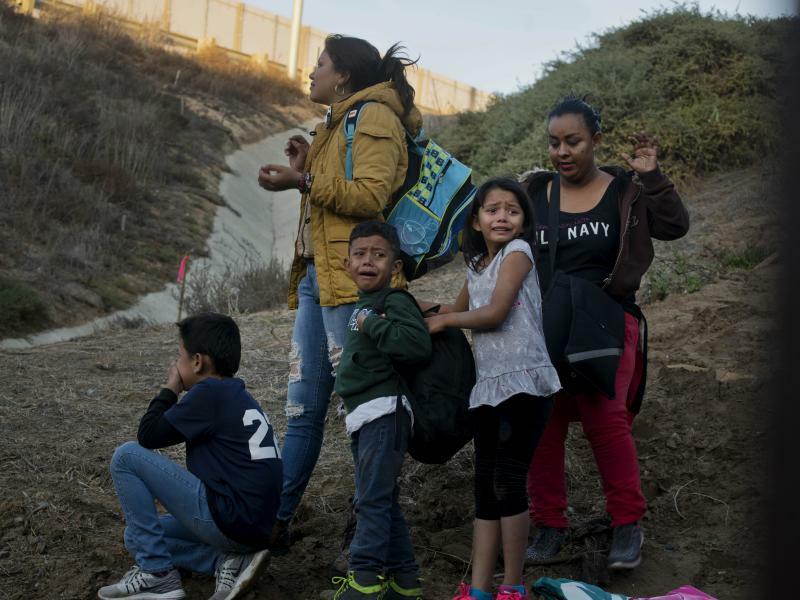 None had tried to cross the U.S. border to seek asylum, but some had gotten a number and are waiting in line for an interview, to get the process started. The migrants shared about the families they miss, what prompted them to make the dangerous, exhausting journey north and the people they met along the way. 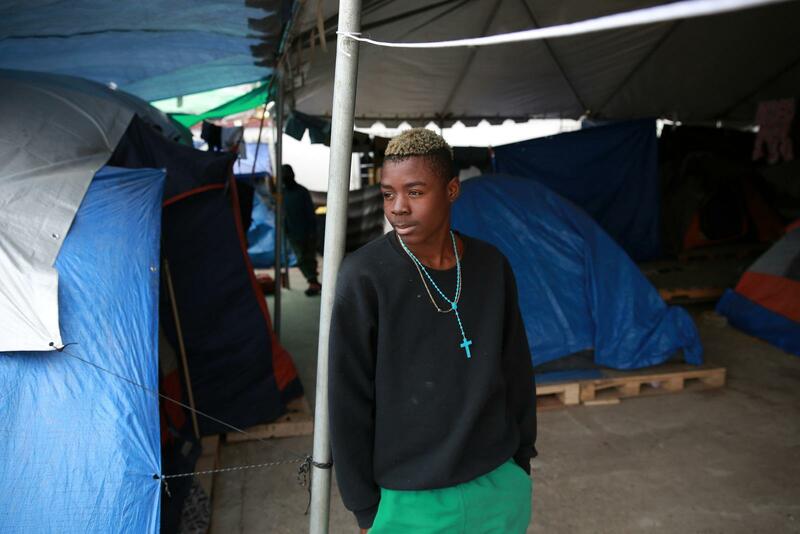 » All photos were taken at one of two shelters in Tijuana — El Barretal and Contra Viento y Marea. 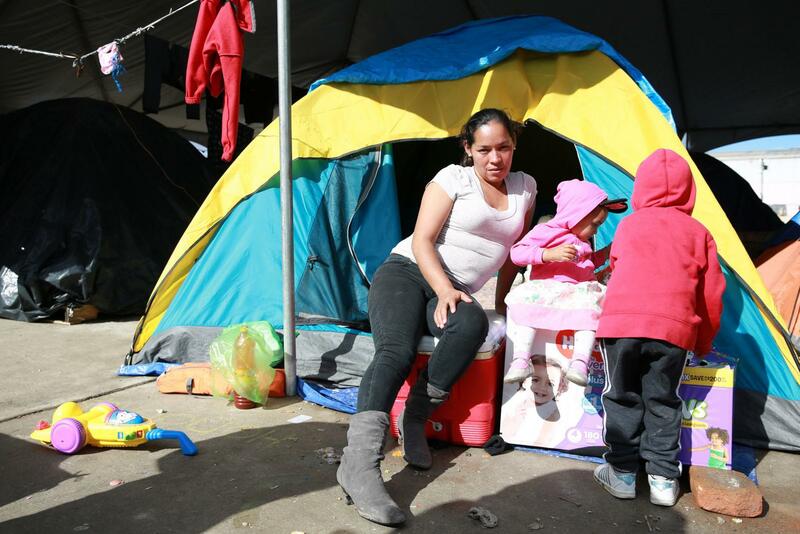 Tijuana is about 20 miles south of San Diego, Calif.
» Of the 13 people profiled, 10 are from Honduras, two are from El Salvador and one is from Nicaragua. » Ten people provided first names only. Most cited fear of reprisal by gangs in their home country as the reason for wanting to withhold their last names — reprisal toward family left behind and toward themselves if they end up having to go back. Some cited fear of their asylum chances being affected as the reason, and one said he was afraid of reprisal from police in his home country. "We have migrated here. We don't come here to hurt anybody. We are honest people with good health, and God-fearing. "Unfortunately, in my country, if we were to protest, we would get shot at. Gassed. We couldn't, we can't, live in Honduras any longer. We are dying of hunger. We don't have anything to give to our kids. "For us, it has been really sad taking this journey. I ask Donald Trump to please empathize with us. We are not criminals for him to put in immigration detention at the border. "There are people that are bad and don't mean good, and now we, the honest people, are paying for it." "I ask God, I have faith in God that one day I will fulfill my dreams. I don't plan on breaking the law and crossing illegally. I want to cross the border legally. I don't plan on bringing violence or doing things that are bad for me and my family. The only thing we ask is for work opportunities for us. "We are honest people. It's true, there are people that are bad and don't mean good, and now we, the honest people, are paying for it. It has stained our image, our country. We have all kinds of people, honest, honoring people. We dedicate our lives to work. "We don't have a right to health in our country. We don't have the right to protest in our country. We don't have any labor rights. We don't have any kind of rights. So that's why our youth is only learning violence, because we don't have any job opportunities for them. "We really don't know what our future will bring. We ask Donald Trump, with the help of God, to look at his heart and conscience and realize that we are not criminals. We are working people coming with our families, our children to work hard. "I don't have any criminal records of any kind. They can check my record." "I am the mother of four children, and I am 32 years old. In Nicaragua, things were rough, it’s still rough now. There is terrorism on the part of the Sandinistas, with the government. "We were in a lot of danger there with my sons. I was afraid that I might lose one of my sons, because — I have one son that is 12 years old, and another that is 11 — they were always having problems at school. When they would leave class, sometimes they would get beaten. So I decided that it would be better to bring them and to try to start a new life with my children. "I know my kids will be grateful that I took them out of Nicaragua and brought them here, so that they would have the opportunity to grow up, become men, and to have a better life. I know that they will speak well of me because, honestly, I've never left my kids uncared for. Never. My kids always come first, and then everything else. Because for me, my kids are my foundation. "I am a triumphant woman, and no matter what, I'll do what it takes to make it." "You know, I don't have a mother, or a father, or hardly any family, really … I've been on my own since my daughter was 3 months old, alone without the father of my kids, and I've learned how to live life on my own. Why would I sit around feeling sorry for myself? As long as we have our hands, our eyes, our feet, our five senses, what's there to feel sorry about? "It doesn't matter who you are, where you are, if you believe that it is going to work out, it will, and if you have the mindset that it won't work out, then it never will. Your real treasure is in your thoughts. If you tell yourself, 'I'm going to do this,' then you're going to do it, and you're going to go somewhere in life. "I am a triumphant woman, and no matter what, I'll do what it takes to make it. No matter where, no matter what … So that's why I decided to just get away from it all and to try to find a better life. "I don't care if I have to sell candy on the street, or whatever it is, because the true mark of a person is what is inside their head. Every head is a world of its own." "I don't know if it's the same in other countries, but there is a lot of extortions. If you own a business, you have to pay. If you have a taxi, you have to pay. If you drive a bus, you have to pay a quote. If you don't pay, you will get killed, or they kill your family. Yes, all those problems obligated me to leave, with no need to think too much. "The people that have everything don't know how it is daily to struggle to make sure your kids are well fed." "The opportunity arose, that the caravan was coming, so I came with only two of my friends from my country. … But hopefully I'm able to provide help and something better for the others that stayed in my country. "Not being there for my daughter's birthday is something I will never forget. Everyday I think about [family], and that is what motivates me. They motivate me to accomplish my goal, to give them a better future. "There are moments I get disappointed, that I wish that everything would end. … But like I said, there are things that motivate you. Sometimes I felt like I was going to give up. But most of the time I'm good and I'm not going to stop until I accomplish my goal, to have a better future for my kids. "The people that have everything don't know how it is daily to struggle to make sure your kids are well fed, go to school and make sure they don't need anything. … [I] stare at [my] kids and family and think of all the things I had to go through, and I do not want them to go through it. We always want the best for our kids. I always want the best. The best, the very best. There were many difficult times in my childhood when my parents did not have any food to offer. I do not want my kids to go through my same situation, when sometimes I had to go to school and did not have money for lunch. "I do not want my kids to go through that." "Somewhere in Queretaro, Mexico, we had walked eight hours straight without any water. I was so exhausted, feeling as if I was going to faint. "We continued walking, him pulling and giving me support and encouragement. We finally had to stop to rest. My daughter was getting sick. Nobody had any water. Luckily, the sun was not out. He and another boy made sure we would rest. I could have not made it without his help; I was so close to collapsing. It was so sweet, too, because he reminded me of my son back home, same height. "I was raised respecting myself and others, with high moral values, doing the right thing and not following what others might do just to conform." "Since it was so hard for men to be given food — usually given only to women and children — my daughter and I would ask for double portions and share it with them. We were like a small close-knit family. I would dispense food when possible to other teenagers who we knew lived in our neighborhood but [were] traveling alone. I gained their respect and they all called me 'mamá.' It felt so good gaining their respect. "I was raised respecting myself and others, with high moral values, doing the right thing and not following what others might do just to conform. We believe in helping people. Here, if I have food I am going to share it with others. Even at home in El Salvador, when one ate, everybody else did. When one did not eat, nobody else would. "Here we have met people and become close. … [This interview was conducted during the holidays.] This being the Christmas season, we are all so nostalgic. Some, like us, are far away for the first time from our families. But through sharing and companionship, we feel like family. "We know we will all go our separate ways. We don't know what is going to happen to each of us, but I will always remember the good in each person. While crying and feeling so homesick after talking on the phone with my mom and husband, El Negrito hugged me and said, 'Don't cry mamá, everything is going to be OK. Your family is far away, but you have one family right now, and we all love you.'" "I'm 16 years old. Life back home was a little bit ugly, because back there in my village they would discriminate against me ... because we have a different accent in the way we speak. And any time we speak differently, they tell us. But they will not call us by our name — they will call us names. Over there, they will call me, like 'blackie,' and that's how they will discriminate against you. "When you get out of school, the gang will be outside. Then they will grab you, they will put guns to your head. One day, we were trying to run away and they were shooting down at our feet. They asked us again, 'Have you made a decision?' So we told them that we don't want to be part of it. I don't want to. "When you get out of school, the gang will be outside. Then they will grab you, they will put guns to your head." "Later on, supposedly the gang went to my mom and told her I didn't want to be part of the gang, and that if they see me again in the colony, they will kill me. So my mom took me out of the school and sent me to the outskirts, to the pueblo. "Now she says she goes to church everyday for me … because I was coming by myself and I didn't know anyone, until I got close to her [Reyna, above]. We were walking and she just grabbed on my backpack. She said, 'Help me.' I was just walking at full force. The walk here was a bit bad because when walking, you would see mothers with kids, and the girls fainting on the way. "Seeing them, it was like watching my mother or my younger siblings." "I can't comment on my life or my daughter's. It's our life, and I would feel fearful sharing it. "Mostly, it has to do with gangs. I was forced to do things I did not want to do. They killed my husband, so after that I hid in a house for a month, then left for Guatemala, where I joined the caravan. "I traveled with my sister and sister-in-law. This journey was very difficult, especially for those like me who have children or are by themselves. Nobody helps you. You don't have a stroller, you carry your kids on your back. The kids get sick, tired, hungry and thirsty. They sure suffer a lot, the same as the mothers. Very tough moments. "I was forced to do things I did not want to do. They killed my husband, so after that I hid in a house for a month." "One time, walking through tall grass in Guatemala, my baby fell off my arms, hit her head and rolled down a hill, almost to the bank of a river. The same thing was happening to my sister and her son who had fallen and was rolling, too. I was screaming, and for a moment I thought it was time to go back to my country. I didn't care if they would kill me. But I keep asking God for strength and kept going. "Another time at the border of Guatemala and Mexico, in Tapachula, we were so sure we were going to drown crossing a river. Bombs were thrown at us. My baby fainted, and somebody helped me revive her. I thought my baby was dead. It was the scariest thing I have ever experienced. "I have not applied for asylum. I am afraid because I am told that when you cross to the U.S. asking for asylum you are incarcerated and in 15 days returned to your country. I have filled out my papers to stay here in Mexico, and [soon] I will receive my credentials. "My mother, who is in Honduras, told me she heard on the news that the U.S. is sending 900 Hondurans back on a plane." "I am 26 years old, from Olancho, Honduras. I lived in the U.S., in Virginia, since I was 10 until 20. After that I returned to Honduras. I wanted to experience what it was like living in my country. "In my country, everything is difficult. So much corruption — the police, the judges, the government are in partnership with the drug traffickers. There is a war on drugs. "I don't understand why the police kill innocent people. I don't understand, either, why in my country, being so poor, police kill innocent people instead of doing what they are suppose to. They are crooked, corrupt. "It is not a secret that the police and drug cartels [in Honduras] work together. It makes me so sad, because I was raised in the USA where the law is respected." "My stepbrother was killed, ran over by a woman. She belonged to an important, powerful drug cartel family. My father and step-mom went to the police to report the accident and the sergeant told them to forget it, not to get in trouble [by] saying anything about this powerful family. Most likely somebody from this cartel family came and gave the sergeant tons of money. 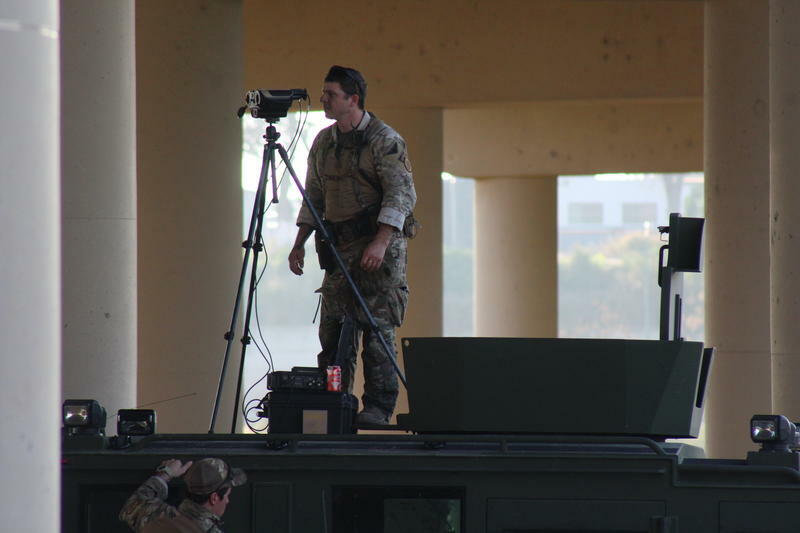 "It is not a secret in the whole country that the police and drug cartels work together. The law does not work for the poor. You have to submit to their corruption, be humiliated, keep your head down and suffer in silence. It makes me so sad and affects me so much, this situation, because I was raised in the USA where the law is respected. Here the bigger person eats up the smaller one. "Just to see how the government does so much damage, it hurts to see that there is no justice, no future for me, for my brothers or my future children. The country will be destroyed that way. I don't understand, either, why the president does nothing to help the people experiencing so many economic needs and problems." "I don't know what else to share, just that I have gone though so much hardship, and every time I think about it just makes me ill.
"The worse experience would be when trying to get rides. Any vehicle passing by would be so crowded. Sometimes you would see people falling off the top of trailers, having difficulty getting a grip to get on, and many would end up being run over and crushed by the tires. "The people who died were left behind, and the police would come get them. Sometimes we would stay in the town where deaths happened, lose two days of walking. Mourning, honoring the people who had died. "Sometimes you would see people falling off the top of trailers, and many would end up being run over and crushed by the tires." [Amelia was asked if she had any problems with cartels in Mexico.] "Not at all. On the contrary, we received support from them. ... They would stop and call mostly the women, the mothers, and give money we could use for food along the way. ... Not that they revealed who they were, but we suspected by the new and nice SUVs they drove. Who else would be giving money away? "We were told these people were the cartels who lived along the route we were traveling. Again, they never helped or gave money to men, only to mothers. We suspected they were cartel for their tattoos. They dressed completely in black, even their gloves, and they were armed. "Many times I have felt like giving up, going back, but there are people who were giving us hope. They said that we have walked enough, suffered enough, not to give up and not think about going back. I have faith and hope that everything is going to turn for the best." "I have spent my life working really hard. And always, I have always been a young guy that strives for my dreams. I mean, I am not a young guy who will just be waiting. I am a young guy that moves, because that's what we are supposed to do. "The strength that I take is that God has given me an opportunity." "You can see without the necessity of words, I survived an accident. Here is the result. But thanks to God, I came out well. ... The accident was with a train. It was a train that cut my foot [off]. I tried to get on without permission from the conductor. "Obviously, everything we came through, the journey, it's dangerous. The journey is dangerous. The most important [thing] for me is that I am alive and good and that God gave me the opportunity to live and keep going forward. "Like they say, don't forget what has happened, but take what has happened and don't use it as a weakness, but as a strength instead. Of the experience that one has had. The strength that I take is that God has given me an opportunity. I need to take advantage of it. "And it doesn't matter the opportunities I didn't receive in life. I know if God didn't allow it, it wasn't for me." Janet: "If we left, risking the safety of our children, it is because the situation in our country made us do that. If people who don't understand the situation were to experience it in person, they would see how so many people don't even have a roof over their heads. With the heavy rains and floods after last year's hurricane, many lost everything." 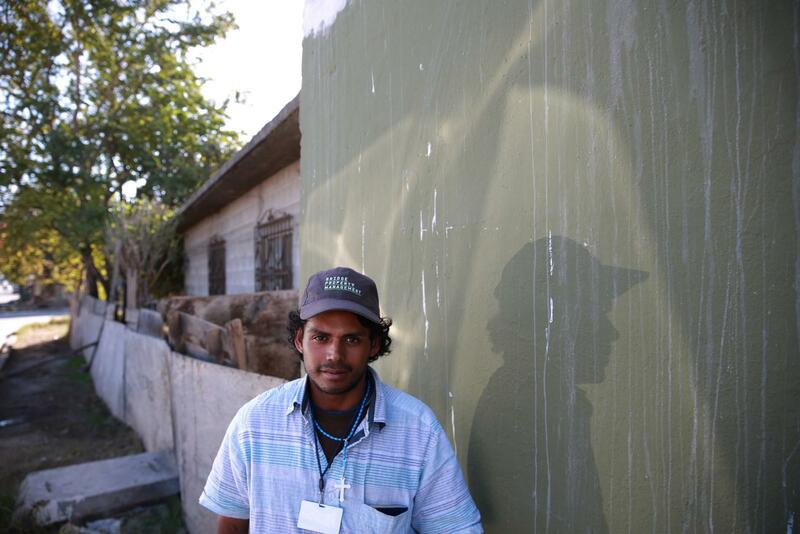 Carlos: "The agriculture was affected too, and the Honduran government did little to help. Just giving bags of food, and that's about it. The medical situation is bad, too. If you go to the hospital you get just a prescription for medicine that might be available, or not, or that can't be afforded. We also know that the United States helps our countries and Central Americans, sending products like medicine and food sent for free, a gift. But when it gets to our country, the government, instead of distributing it for free, puts a price on everything and sells it. "We try to work and give our children what they deserve, sacrifice for them, but it is so hard." "If we left, risking the safety of our children, it is because the situation in our country made us do that." Janet: "The journey was very tough. Carrying our children would get so tiring. We were sick and we wondered if it was better to go back. But we would think of our children and decide to get going, not to go back to the same thing. "We avoided riding on the train. ... Too many people were on the train. Some would fall off because of the crowed conditions, the heat unbearable. It was so sad and horrible seeing so many people left behind, lying on the ground, and you could not do anything to help, just keep walking. "We would walk so much. The kids had blisters on their feet. We did too, and even though we would stop to rest, we did not want to stay behind. We had heard — of course, I don't know if it was true — that families who stayed behind and did not continue with the pace of the caravan, their children were stolen. "We did not want that, of course, to happen to us. So we would keep walking." 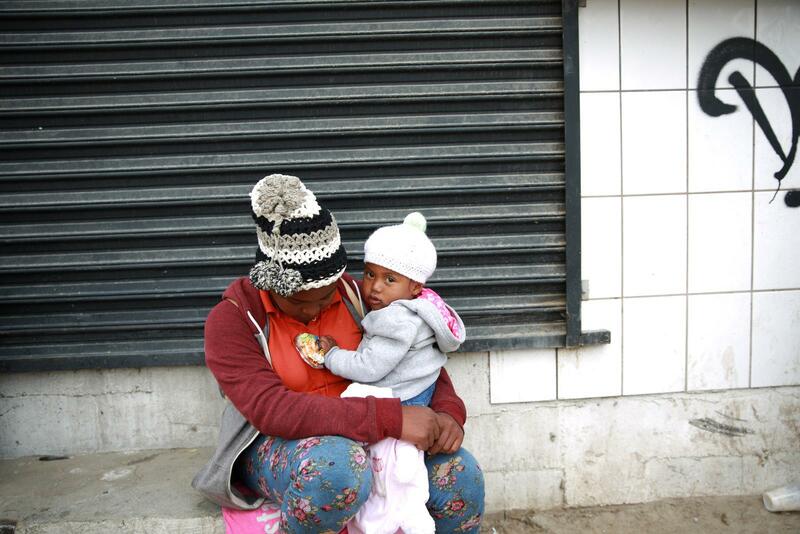 "I left my country due to the fact that the economic situation is very difficult there. I had plans to come before the caravan. I saw the opportunity to come with the caravan, knowing that crossing into Mexico is not a sure thing, and it's very dangerous. So, I decided to come with the caravan. "We know Mexico is very big and we know its not safe. We know that people die, get killed, get kidnapped and are robbed. We saw deaths on our way here. In Chiapas, Mexico, we came out walking and lots of people asked for rides. Some give rides, other don't. But people jump on anyways and sometimes fall off. A guy fell off and died on impact. "As human beings, our mentality is not the same. We can agree on some things, but not everything." "The positive, what caught my attention — how people were giving us water, they were giving us food, were giving us clothes. So I was able to appreciate that. "In Mexico, there's bad people, but I think that in Mexico there are also many good people. I think that in any place, there's good and bad. Sometimes as human beings, we are coming to a place that's not our own. I mean, you don't want someone's else's trash near your home. "I also understand that there's racism in the United States. It's a country that was colonized by immigrants from other countries. As human beings, our mentality is not the same. We can agree on some things, but not everything. "I am not concerned about how people will see me or receive me once I get there. I am more concerned about what I am going to do once I am there." "Coming here was very difficult. More difficult for me because I left my children, and my father had only just died. "At first I felt strong, but I don't anymore. I cannot endure so much absence from my children." "It was very hard for me to come over here. But because the situation in El Salvador is bad, with the threats and all of that, I decided it was better to come here to help my children and send for them to come. They miss me and they miss my food. "For me it has been very hard to be away from them. I miss them very much. But they called me when it was midnight on New Year's Eve. I got to chat with them then. Well, only to say hello and for them to wish me Happy New Year and good luck. "At first I felt strong, but I don't anymore. Now I am telling God that I am done and want to return to El Salvador, because I cannot endure so much absence from my children. But he was telling me to keep moving forward and not to lose heart, and that you do it for your children. That he will help me, and also so that the children will be better. "The only thing I really want is for the Americans to give us the opportunity to be there, to help our children. This is the only thing, the only thing that I want. To be there." These interviews were lightly edited for length and clarity. Translator Lilyan Prado Carrillo conducted the interviews in Spanish. Transcriber Constanza Barreto Ward later translated the interviews into English. A new report calls for improved translation services after two Mayan children from Guatemala, 7-year-old Jakelin Amei Rosmery Caal Maquin and 8-year-old Felipe Gómez Alonzo, died in Border Patrol custody.